Dutchess Hotel is strategically located to visit a variety of Ugandan National Parks. Below the parks are listed that can be reached from Fort Portal within a three hours drive or less. For more information on each park you can contact the Ugandan Wildlife Authority (UWA) on 0414 355 000 and 0312 355 000 or visit their website. Looking for chimpanzees and rain-forest? Visit Kibale Forest. For a savanna park with lions and many antelopes you visit Queen Elisabeth. Which also has the best boat trip in East Africa. Go for a special landscape that is less visited to Semuliki National Park and see in the low-land rain forest the hot-springs and spot the monkeys. More off the beaten track is a visit to the Katonga swamp where you can find the very rare situatunga antelope in the fog. This park is located 80 km to the south of Fort Portal on a tarmac road. In the park you can take the most beautiful boat trip of Uganda. Call UWA (0782-387805) to make the necessary reservations for seats on the boat. The boat trip takes you along the river sides of the Kazinga Channel where you can see elephant, buffalo, hippo and many amazing birds. On a game drive through the park you have chance to see lions, elephant, buffalo, Uganda cob, hartebeest and many birds. At the border of the park you can see how salt is being produced (today and hundreds of years ago) in and around the Katwe lake. Arrange a tour via the small tourist information centre in Katwe town (0751-933806). This salt tour can be reached with public transport from the main road and you do not have to enter the park. Inside the park there is a beautiful crater drive, signposted on Kasese road. Take your time, a good 4WD and enjoy the beautiful landscape. Do expect to see many big animals, just a breathtaking crater landscape. In Ishaha (South of the Park, another 1-1.5 hour driving) there is a change of seeing TreeClimbing lions. 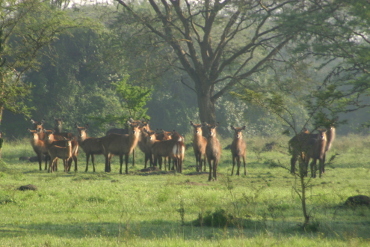 It is also the area where you can see the Topi antelope, an antelope similar to the Hartebeest). Would you like a day trip from to Queen Elizabeth park. Leave early in the morning 6:00. You will start with a morning game drive in the park. 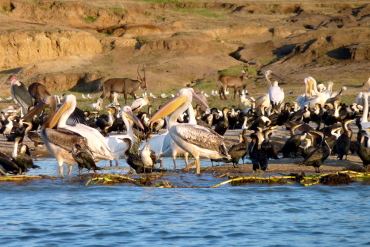 In the afternoon you take a boat trip on the Kazinga channel. 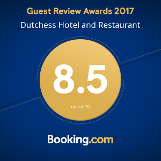 You will be back at Dutchess for dinner.We can arrange this daytrip or a trip of several days to Queen Elizabeth Park. The main activity in Kibale forest is the tracking of chimpanzees, although many species of birds can also be found in the forest. 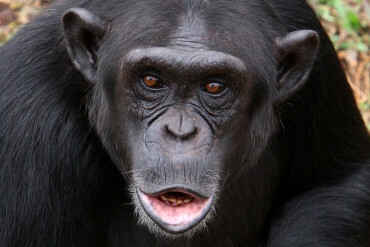 The license for the chimp tracking should be bought beforehand from the main UWA office in Kampala, but in low season you can take a chance and see if there is an opening at one of the trackings. This park is located 35 km from Fort Portal on a newly constructed tarmac road. This park can be reached on a 1,5 or 2 hours drive on a newly constructed tarmac road from Fort Portal. Hikers can take a walking safari through the rift valley and over the Rwenzori Mountains foothills and reach the park in two days. 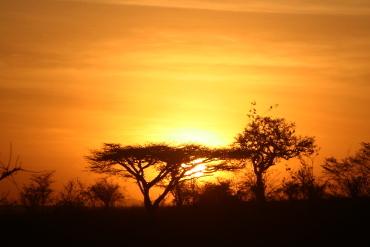 The park is the only lowland tropical forest in East Africa. Mayor attraction are the hot springs. They bubble up from the depths to demonstrate the powerful forces that have been shaping the rift valley during the last 14 million years. 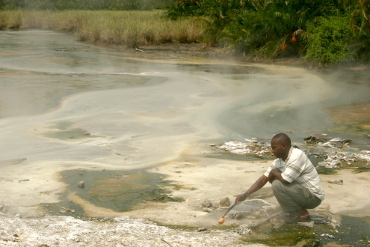 You take a walking trail of 1-2 hours and do not forget to bring your raw eggs for lunch, which can be cooked in the springs. Climbing of the Rwenzori Mountains takes a minimum of 7 days. The driest months are June, July and August then late December, January and February. This is only for the real fanatics! 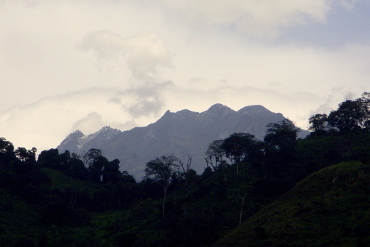 Hike in the foothills of the Rwenzori Mountains from Karagutu, just outside the park. A one day walk guided by the owner of Dutchess, Michel Kroon. The hike can be extended with a day hike in the rift valley or a visit to the Semuliki National Park. Details see hiking activities. This nature reserve is 130 km from Fort Portal. Mostly tarmac, but the last 40 km is on a dirt road. This reserve (not a park) is for the die hards. Most of the reserve is not accessible, due to swamp. The beautiful canoe trail is unfortunately to dangerous. The man made channel has been taken over by hippo’s therefore to danger with a canoe. But if you like an very early exiting hike at 6.30 in a misty swamp, discovering sitatunga (a very shy swamp antelope), palmnut vultures, bushbucks and many many waterbuck, this is your place to go and do not forget your boots. Accommodation in the park is either camping or very basic in scholar bunk beds or basic rooms in the nearby village. Maybe a newly build guest-house will bring an improvement in the future.